Published: Jan. 28, 2016 at 01:39 a.m. Updated: Jan. 28, 2016 at 12:55 p.m. When the Carolina Panthers, the highest-ranked offense, and the Denver Broncos, the highest-ranked defense, face off in Super Bowl 50, the winning quarterback will set a new milestone for future quarterbacks to reach. Take a look at what each former No. 1 overall draftee can achieve with a victory. This will be only the second Super Bowl to feature the No. 1 scoring offense (Panthers, 31.3 PPG) vs. the No. 1 total defense (Broncos, 283.1 YPG). The first such matchup was Super Bowl XLVIII, in which Seattle's No. 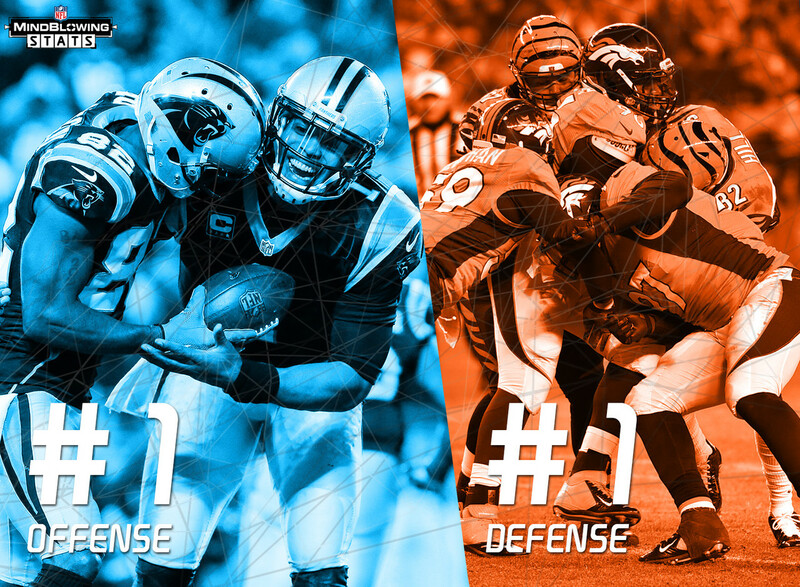 1 defense overwhelmed Peyton Manning and Denver's No. 1 scoring offense in a 43-8 blowout. Cam Newton is aiming to become the first quarterback in NFL history to win a college National Championship, Heisman Trophy, Super Bowl and NFL MVP Award. A victory in Super Bowl 50 would give Peyton Manning his 200th career win, including playoffs. Manning would be the only QB in NFL history with 200+ wins, surpassing Brett Favre (199 wins, including playoffs) for the most all-time. This will be the first Super Bowl in which both starting quarterbacks were former No. 1 overall picks. Peyton Manning went No. 1 overall in 1998, while Cam Newton went No. 1 overall in 2011. The Broncos' defense has not allowed a single rushing TD to a quarterback this season, including playoffs (1 of 2 teams to do so). Cam Newton is tied with Steve Young for the most rushing TDs by any QB in NFL history (43, regular season only). Super Bowl 50 will be the first time both opposing coaches also played in a Super Bowl. Ron Rivera made the Super Bowl with the 1985 Bears as a linebacker (won), while Gary Kubiak made three Super Bowls as the Broncos' backup quarterback (0-3). "Keep Pounding" Jonathan Stewart and the running game, Carolina. The Panthers as a team have rushed for 100+ yards in each of the last 31 games, including playoffs. That's the longest active streak in the NFL, and the longest streak since the late-70s Steelers went over the century mark in 37 straight games. The Panthers were the only team to rush for 100+ yards in all 16 regular season games this year. Luke Kuechly has returned an interception for a TD in each of Carolina's two playoff wins this season, and that bodes well for the Super Bowl. Teams to return an INT for a TD in the Super Bowl are 12-0 all-time, and Peyton Manning threw a pick-six in each of his two Super Bowl losses. Peyton Manning is 7-1 in his career in road games in the Bay Area (SF & OAK). Manning has won his last seven starts in the Bay Area after losing in his rookie season to Steve Mariucci's 49ers. The Broncos hit Tom Brady 17 times in their AFC Championship win. It was the most quarterback hits by any team in a single game this season, including playoffs. Cam Newton has not been hit more than six times in any game this season.